This is another version of bread I baked last fall. I changed up the flour combination and used a Durum starter as well. 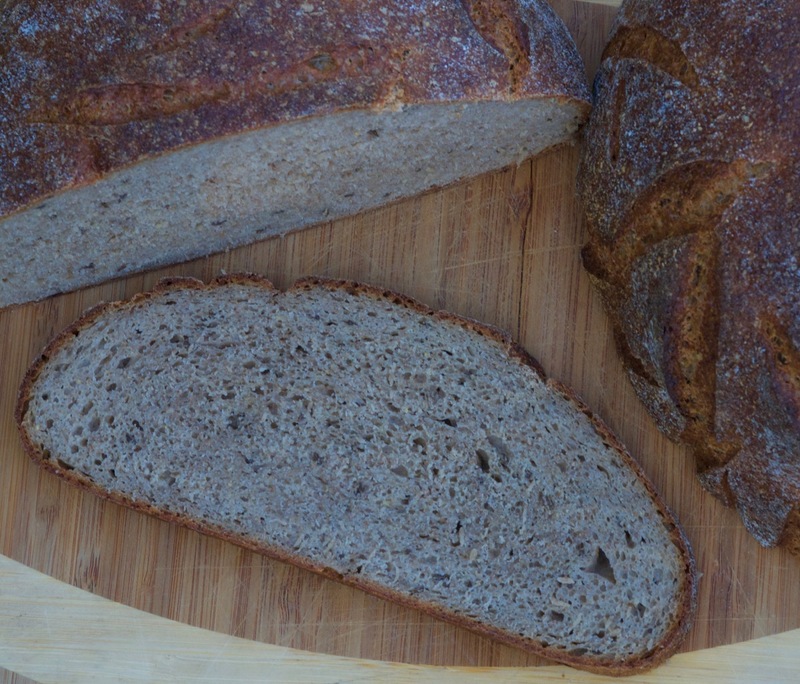 I was very happy with the moist crumb and the combination of flours made for a perfect rye sandwich bread. 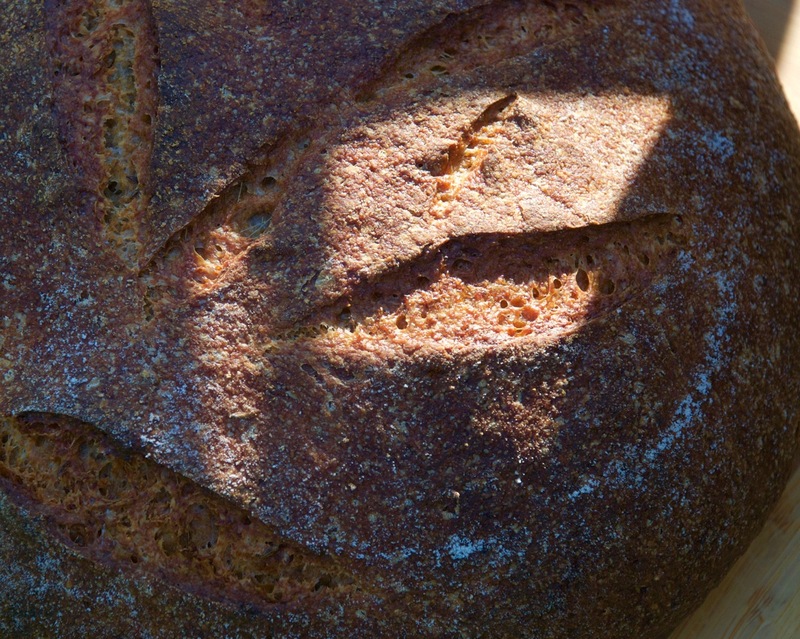 The crumb was perfect for this style of bread and I would certainly bake this one again. Mix the flours, and 400 grams of the water together in your mixer or by hand until it just starts to come together, maybe about 1 minute. Let it rest in your work bowl covered for 20-30 minutes. Next add the salt, starter (cut into about 7-8 pieces) and balance of the water, and mix on low for 6 minutes. Remove the dough from your bowl and place it in a lightly oiled bowl or work surface and do several stretch and folds. Let it rest covered for 10-15 minutes and then do another stretch and fold. Let it rest another 10-15 minutes and do one additional stretch and fold. After a total of 2 hours place your covered bowl in the refrigerator and let it rest for 12 to 24 hours. (If you have a proofer you can set it to 80 degrees and follow above steps but you should be finished in 1 hour to 1.5 hours). I've got to give it a try to experience the silkiness you described. I can tell how moist the crumb is by looking at the picture. This loaf indeed makes a good sandwich bread. How's the aroma? 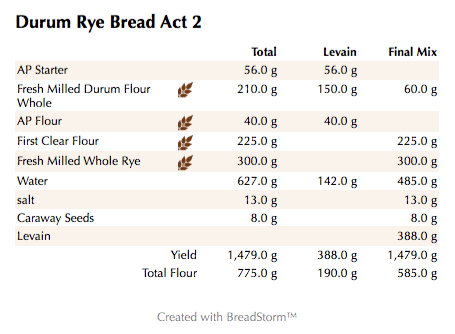 I'm confused about durum and semolina, are they the same? Did you get the durum in berry form??? and then grind it to flour? Thanks for sharing, miss seeing your garden. I'm glad you liked it and sorry I didn't post any garden shots this time. Promise I will for next post :). The cone flowers which are my favorite are starting to bloom. The aroma was pretty amazing....only bread heads like us smell a freshly baked loaf like its a newborn :). The word semolina refers to the grind level of the durum berry I believe. I buy the berries and grind them myself but you can certainly use store bought but you don't want to use the course pasta variety. Happy Baking and look forward to your next post. P.s. Just got back from visiting some nurseries on the East End of LI so I'm off to plant the new acquisitions! That is some good looking bread both in and out. Bet it tastes as good as it looks. 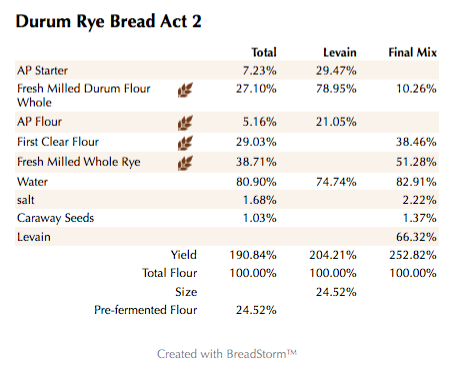 Where do you get your Durum mine is running low and my source is out of stock until harvest? this was mighty tasty and made a great sandwich. I buy my berries from www.breadtopia.com. If you order enough tough the shipping won't kill you. Was not able to find a cheaper source anywhere else. Unfortunately that is also my source and I agree the price is the lowest found including Wheat Montana which is where they get the berries from. Breadtopia is fairly close by, about an hour's drive, I went there a little over a year ago to pick up a mill because I wanted to see one work in person. They are very nice folks. Guess I'll have to wait and use up other grain stock. Wow...guess it's a good thing I still have some berries left! Nice bake Ian! I really like the scoring, its very pretty. The crumb looks so soft and moist, must have made a great sandwich. Does this loaf keep well at room temperature? Appreciate the kind words Ru. I'm glad you liked it and it did make a great sandwich bread. It certainly keeps well as do all of my breads made with a SD starter. I usually wrap it tightly with plastic wrap which I find mostly works great. If they are rolls I cover with a clean kitchen lint free towel. I agree, the scoring is unique and spectacular. Durum has a special taste and quality as you said.Have you tried to make durum starter made with durum from the start then patiently tended for days until active since you like durum breads. I wonder if it's possible. I'm glad you liked the bread and my scoring. I belong to a few bread groups on Face Book and some people there are doing some insanely creative scoring. My scoring still has a way to go to match their artistry but I was happy with the way this one came out. I have made a almost 100% Durum starter in the past by building it up in two steps and it came out great. Not sure if you can readily get your hands on any Durum flour or berries in your neck of the woods, but if you can I'm sure you would like it's nutty and sweet flavor. Look forward to your next creation. 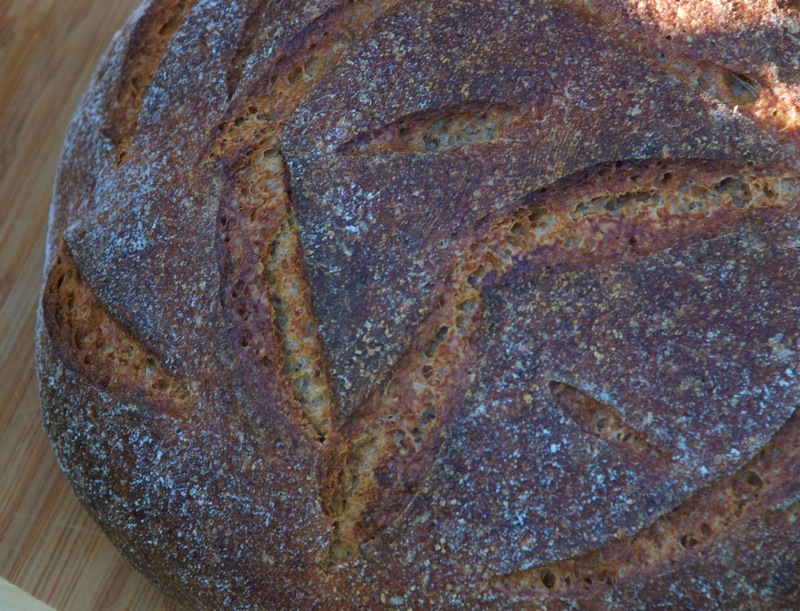 favorite amount for JDR sandwich bread no matter what other flours are added to make the 100%. Durum and first clear would be a nice combo to make up the difference. Now you need some smoked pastrami for Father's Day to but between a couple of slices. You are on the same rye page with Lucy this week, She has a strange 60% whole rye with 40% whole wheat SD/YW bran levain concoction going where half is sprouted with some BMS, molasses, Manilla mango, caraway, coriander and walnuts. Maybe we will make it in that wonderful Oriental Pullman that we haven't used the lid yet. Great looking bread Ian. Love the fancy do scoring and happy baking. I think you and Lucy would like the flavor of this one. 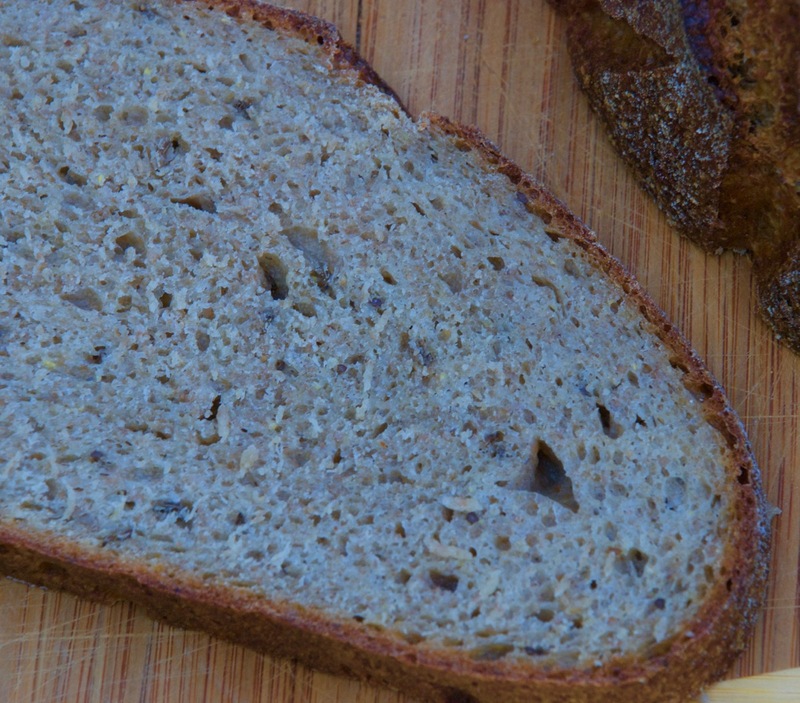 It was nice and moist and the caraway seeds and fresh rye gave it that deli rye flavor. I was using a new mill attachment called the "Mock Mill" which I'm testing out for the company. It is made by the original designer and creator of the Komo mills and I have to say it give me so much more control than my Nutramill. It's a little slower but I was able to get some real nice coarse pieces of bran to sift out which I've always had difficulty with getting with the current mill I have. Lucy's latest concoction sounds very interesting and I will look forward to hearing how it turns out. I'm working on a SD focaccia based on Peter Reinhart's formula but converted to using a starter along with some Durum and 00 Caputo flour. I have not made one of these in years so it will be interesting to see how it comes out. Also have to post about some rolls I made during the week that came out very tasty. Happy Baking and hello from Lexi, Max and the rest of the furry gang to you and Lucy! I just milled some Hard Red Wheat for a bread I'm mixing right now. I love that at the second finest setting it still leaves plenty to sift out and re-mill which I could never do in my Nutramill. So far I'm very satisfied with this mill and highly recommend it if you have a Kitchen aid to use it on. I will try and post a video review at some point when I have time, but don't hesitate to buy one of these. and moist as I like it, Ian. Surely it doesn't lack in flavor! Appreciate your comments. It really was a very tasty loaf and was nice and moist. I will look for your post in a minute. Can't wait to see it. I'm always happy to hear I could inspire you. I do have to try adding some whey as well as making my own cheese soon, very soon :). So happy you enjoy my posts. I just added a new one a little while ago as well. Happy Baking and enjoy the rest of your weekend. Thanks David. Appreciate your kind words.